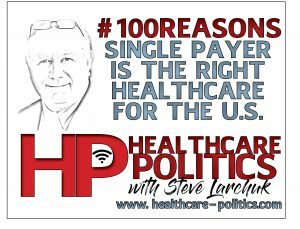 In no particular order, below are Steve’s 100 reasons Medicare for All is Right for all Americans. Click here to listen to the #100Reasons podcast where Steve reads the list! Every American, of every age, is covered. Medicare already covers those in the greatest need – those over 65 years of age, those who are totally disabled, and those who in end stage renal disease. Medicare has a fifty-year track record of success. People already understand Medicare. According to a 2015 poll, 75% of those on Medicare say they are happy with it. Administrative costs are less than 5% which is much less than the administrative costs of private insurance companies which are capped at 20% under the Patient Protection and Affordable Care Act and before that often exceeded 30%. We can eliminate different insurance companies fighting over who is supposed to pay. Employers no longer need to negotiate for group health care plans. Premium dollars are no longer wasted on lobbying. Premium dollars are no longer spent on advertising. There are no pre-existing conditions issues. Nearly every doctor, hospital, and pharmacy is already set up for Medicare. We eliminate redundant and overlapping programs such as Medicaid and Children’s Health Insurance Program. Self-employed people will have health care. Workers can retire before age 65 if they are ready since they will already be covered by Medicare. Non-profit organizations will be able to recruit and retain volunteers since they will not have to use precious dollars to purchase employee health care insurance. Everyone will be part of one large data base which provides public health data which can identify areas of early outbreaks of disease, drug reactions and effectiveness, trends in wellness. Part D drug coverage will assure better patient compliance and management of chronic diseases such as diabetes and high blood pressure. Claims submission is simplified with just one place for doctors to submit their bills. Doctors and hospital get paid very quickly. As automation, such as driverless taxis and delivery trucks, displace hundreds of thousands of workers they will at least be assured their families will have reliable access to health care no matter what. No issue with working in one state but living in another. No paper claim forms to submit. Doctors do not have to sell their practices to a large hospital chain to stay in business. Health care providers will see a reduction in their own overhead costs as their employees are automatically covered by Medicare just like everybody else. Employers will no longer need to worry about providing group health insurance for employees since all employees and their families are already covered by Medicare. Employees can freely move from job to job without concern of losing or interrupting their health insurance. Employers will no longer have to worry about how hiring an older worker might impact their premiums. Entrepreneurs can start a new business without worrying they will be without insurance. Those working in the “Gig Economy” such as Uber drivers will have health coverage. Physicians will order the tests you need – not just the tests you can afford. Medicare for All will save hundreds of millions of dollars every year. Nobody will die from lack of access to health insurance. Everyone can get the early tests and care they need when their diseases, such as cancer, are still curable and manageable. No more fundraisers for care. Every 10 people who are given access to health care generates one new full time job helping to provide that health care. We will end the terrible injustice of unequal access to health care. Employer contributions to expanded Medicare will be much less than the cost of private group health insurance. The government health care exchanges will no longer be needed. Doctors and hospitals will no longer have to deal with noncollectable fees. Family farmers will no longer have to have a member working a town job just so they can have the health care benefits. No waiting for a new insurance card every year – once you are registered you are in. Patients save time checking into the hospital – no proving you have insurance or arranging for out of pocket payment. Pregnant women will know they have full coverage for themselves and their child which will better assure successful pregnancy and healthy newborns. Families challenged with disabled children will at least have the comfort of knowing all of the health costs will be covered. No more guessing or hoping that your private insurance will cover your needs. Employees working in hospitality or restaurants will be covered like everyone else. No more mandates for individuals or employers since everyone is automatically covered. Military families will be covered by Medicare just like everyone else. Worker Compensation insurance programs become less costly to industry when everyone is already covered under Medicare. No more fighting over whether an injury or sickness is “job related”. Everyone can choose any doctor and any hospital. American business will be able to better compete with companies from nations that already have a national health system. Even the homeless will be fully covered by Medicare. Employers currently providing group health programs can stop the annual battle with private insurers regarding increased premiums and deductibles. With Medicare people can retire earlier and open their positions for younger workers looking for advancement. Health care related bankruptcies will be rare. 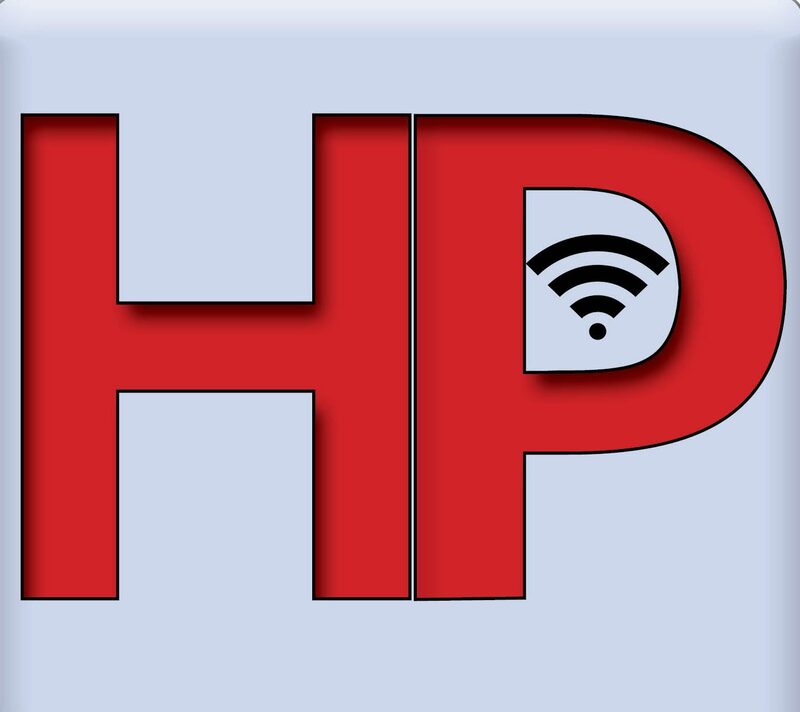 No “out of network” fees or add on expenses. Emergency transport services will know they are going to be paid. No waiting for an insurance settlement to get the care you need after an auto accident. No waiting for necessary care until age 65 – everyone is covered from the day they are born. Substance abuse counseling and addiction programs are covered. You can choose among several different types of Medicare programs to pick which works best for you. Medicare will have the bargaining power of 320 Million members to negotiate reasonable drug prices. Sleep studies and positive pressure devices are covered for those with chronic sleeping disorders. Business can hire more freely without the added expense of group health insurance since every new employee is already covered. Those afraid to leave a bad marriage because they fear losing health insurance under their spouse’s employer paid policy no longer need to worry about that since their Medicare coverage travels with them. The unemployed will still have access to health insurance while they are looking for work. Community hospitals in poor neighborhoods will finally see full payment for all of the care and services they provide – which means they can stay afloat and pay a proper salary to their staff. You will no longer have to use the emergency room as your “family doctor”. Hospitals and doctors will compete for patients based upon the quality of their services – it will be a publicly funded system but the services will be privately delivered. School taxes will be reduced as the cost of health care insurance is no longer part of the cost of teachers, administrators and support staff. Veterans will have the choice of private health care through Medicare or the VA – either way they are covered. Children can be assured of getting the services they need since they all will be automatically covered by Medicare. Doctors can have confidence their patients will comply with recommended treatments since they are covered under Medicare. No more insurance fraud where someone tries to get medical services using the insurance card of someone else – everyone has their own card. All durable medical equipment such as wheel chairs, hospital beds, oxygen concentrators and the like are covered. Employers will enjoy a reduction in overhead as their human resources managers will no longer have to negotiate and administer a health insurance program. No more fretting about COBRA costs when you leave a job that provided your health insurance. Productivity will increase as employers will see better attendance when all employees have access to care for themselves and their families reducing missed work due to illness. Emergency rooms will once again be able to concentrate on true emergencies. Imaging studies such as MRI, CT and X-Rays are all fully covered. Our hospitals will have the resources to purchase state of the art equipment. Diabetics can have their disease managed early on to prevent loss of eyesight, kidney failure, and circulation issues. All immunizations and vaccinations are fully covered. Students will not have to prove they have insurance when they go to college – everyone is covered automatically. None of the money collected to fund the system will go for sales commissions. Native American communities will have better access to care with their full participation in Medicare. Small employers can compete for talent since they will not have to pay for private insurance group coverage to attract new workers. Unions will not have to fight a constant battle to secure and protect health care insurance since everyone will already be covered automatically under Medicare. No more private insurance company profit driven denials of coverage. Annual medical examinations are covered and encouraged. Independent commission sales workers will be covered. Cancer screenings are fully covered. Physician practice bottom line profitability will increase as their employees will also be fully covered, as will the physician and their family. Greater employment in the health care sector will rebuild our middle class and with it the overall economy and tax base. Crime will be reduced as substance abuse programs take hold and reduce the number of those who support their addictions through criminal activity. Children and infants will be assured of getting their immunizations and check-ups on schedule. Alcoholism treatment programs will reduce domestic violence, absenteeism, and automobile accidents. All necessary surgical implants and medical appliances are fully covered.